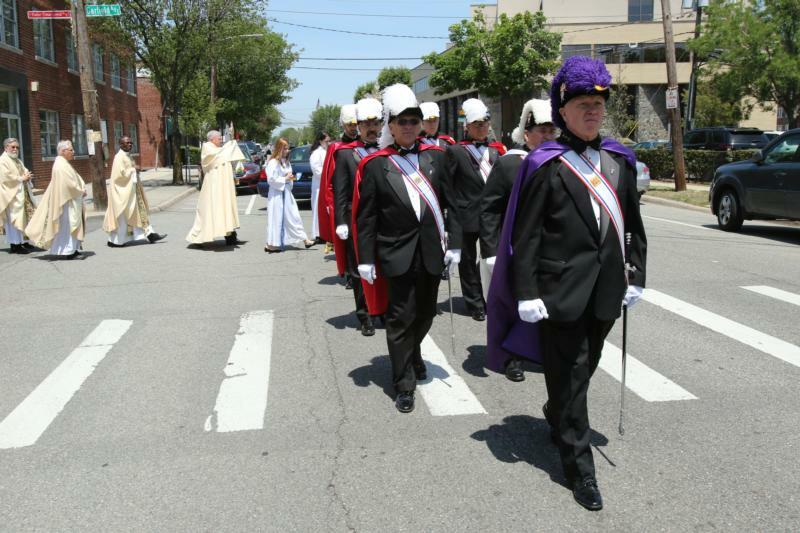 LEVITTOWN, Pa. (CNS) — The Knights of Columbus has announced an initiative designed to bring the Knights into closer cooperation with parishes. Changes were noted in an address delivered by Supreme Knight Carl A. Anderson in November to a San Antonio meeting of state deputies and reprinted in the December issue of Columbia, the Knights’ magazine. “We will use our resources of time, talent and money to strengthen parish-based and parish-sponsored programs,” he wrote. According to Anderson, the 1.9 million-member Catholic fraternal group, organized into over 15,000 councils operating in the United States and a number of other countries, will continue its focus on spirituality, charity, unity, brotherhood and patriotism. But it will strive to bring its activities into greater identification with parishes under the supervision of parish pastors, avoiding duplication or any perception of competition. Among the changes involved, the Knights will not build or acquire any new council halls. This change, where parish rather than separate facilities are used for meetings and activities, has already allowed the formation of councils that would not have been able to afford a building, and will avoid members having to devote too much time and effort to support the building by renting it for unrelated activities. In another significant change, by the end of this year, the Knights of Columbus will no longer sponsor Scout groups. Instead, the group will work to support parish youth ministry programs, including parish-based Catholic Scouting. The Knights, Anderson wrote, should strive to integrate the activities of their Squires Circles — affiliated groups of boys and young men ages 10 to 18 — with those of the parish youth ministry. He said councils and assemblies in the U.S. and Canada that do not currently have Squires groups should not begin new ones but instead should support existing parish-based youth ministry programs. The Knights, Anderson wrote, are devoted to building up the family as the domestic church and to evangelizing family life, a work that can be done most effectively by working in and with the parish. Andrew T. Walther, vice president for communications and strategic planning of the Supreme Council, noted in an interview with Catholic News Service that it is important to remember that the Knights of Columbus was founded in 1882 in a parish by a parish priest — Father Michael McGivney, recently declared venerable, whose sainthood cause has taken its first steps. In re-emphasizing its focus on the parish, Walther said, the organization is going back to its roots. “Most of our councils are based in parishes,” Walther said, and Knights traditionally put themselves at the service of the parish. The group “really wants to focus in a very specific way on what we’re doing in the parish,” which includes prayer and the sacramental life, charitable works, and taking a holistic approach to being united with the parish. Different parishes have different priorities, and the Knights of Columbus can be flexible to help with different needs, he noted. Walther said the change in sponsorship of Scout groups is not intended to diminish the Knights’ commitment to Catholic Scouting, but to bring it back to focus in the parish. The current initiative is designed to promote “the involvement of families within the parish. The parish is our home, and we should be working first and foremost through our parish.” Making the parish and interaction with the parish the top priority is, he said, a re-assertion of the model on which the Knights were founded.